Chris Coleman felt the chance to try to turn around Sunderland's fortunes was an opportunity he could not turn down. The 47-year-old surprised many in football by ending a hugely successful stint as Wales manager to join the Championship's bottom side on a two-and-a-half-year contract. 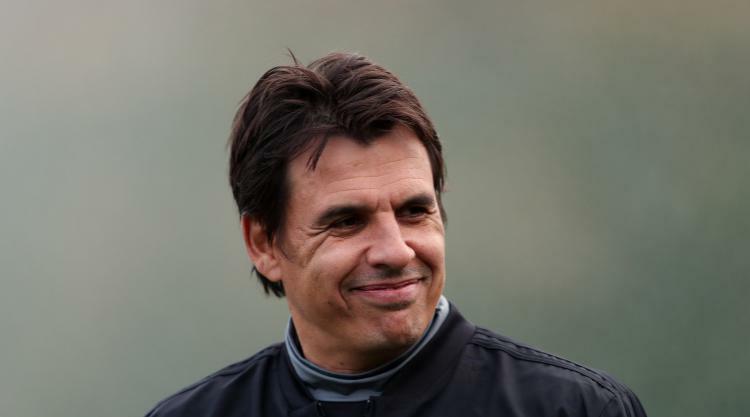 Coleman is Sunderland's ninth manager in the last six seasons and takes over after they set an unwanted record on Saturday by failing to win for the 20th home game in succession. Coleman admitted the task in front of him is daunting, but said in an interview with Sunderland's website: " Someone's going to turn this club around. "Whether it's me or whether it's the next one, sooner or later this club will start climbing again, start playing in front of a full house again, get the city rocking and rolling. I want that to be me, of course. ''You can go through your career as a manager and never manage a big club. I always wanted to have that experience of managing a big club, and here I am. ''All right, we're bottom of the league. Deal with it, get on with it. It is going to be a big challenge and I haven't got a magic idea that's going to turn it around like (clicking your fingers). ''I'm going to need all the supporters, all the staff, the players, everybody to come with me. It's such a big club that, when we gather momentum, it's pretty hard to slow it down, but the start's always the toughest part. Coleman led his first training session on Sunday morning and will be in charge of the side for the first time for Tuesday's trip to Aston Villa. After guiding Wales to the semi-finals of the European Championship last summer, he stepped down from the post earlier this week after missing out on qualification for the World Cup. He revealed a disagreement with the Welsh hierarchy led to his departure, saying: " Having achieved what we'd achieved, I thought to take it on to the next level I needed to work slightly differently. "And the powers that be in Wales saw it differently to me. In my experience it was the right time for me to say, 'OK, that's as far as I'm going to take it'. Pretty quickly really the opportunity came about with Sunderland."